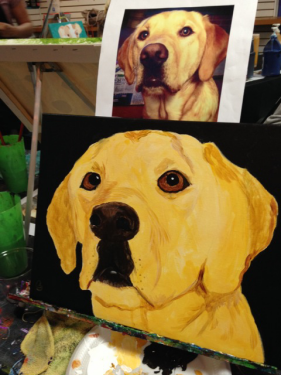 Come to The Paint Party Studio and paint your pet! 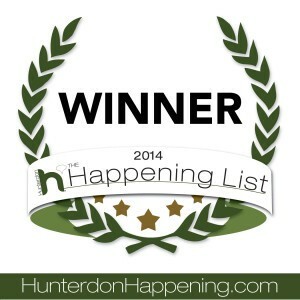 Voted best pet event in Hunterdon County 2016 by Hunterdon Happening Magazine! 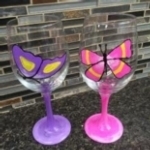 Perfect gift for someone or yourself! View our calendar and register for this special night! We usually have it monthly. 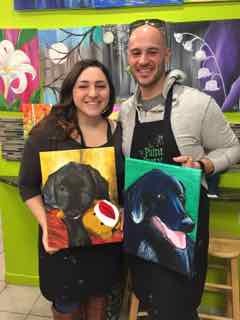 Once you register for this class send us a clear photo of your pet at least 5 days before the event so that we can trace it on canvas for when you arrive. Another studio favorite we offer this class monthly. 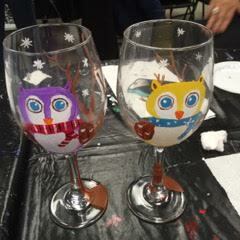 Choose from stem or stemless glasses, we have many designs to choose from, and will be on hand to assist. Create your art and then wear it! 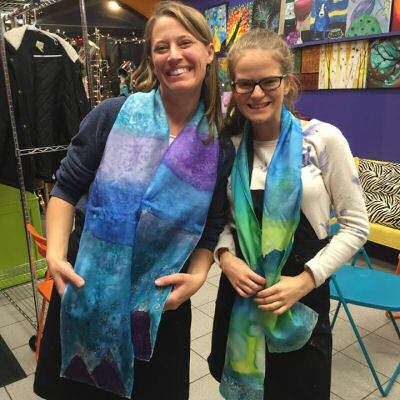 We supply everything you need to create a beautiful silk scarf! *please note these classes are NOT taught step by step, but staff is on hand to assist you and samples and ideas available. a pallet with a painting or a phrase!